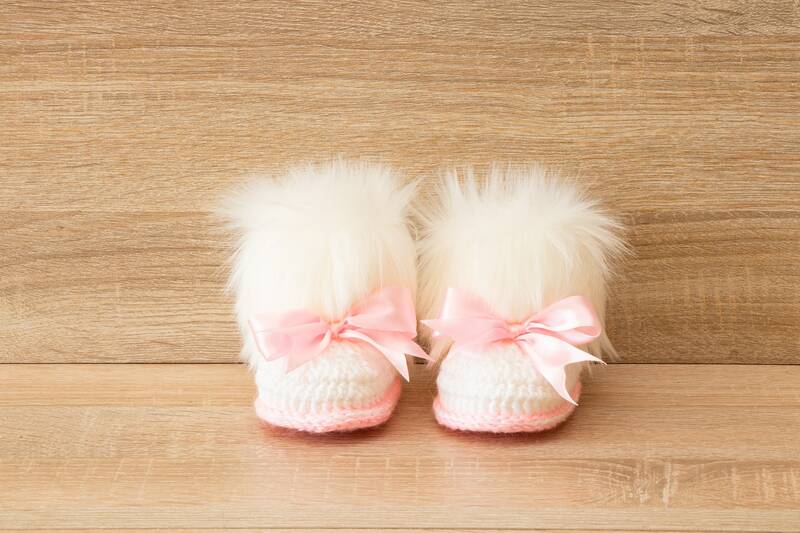 These baby girl booties and hat are perfect for everyday wear, photo prop, or baby shower gift. 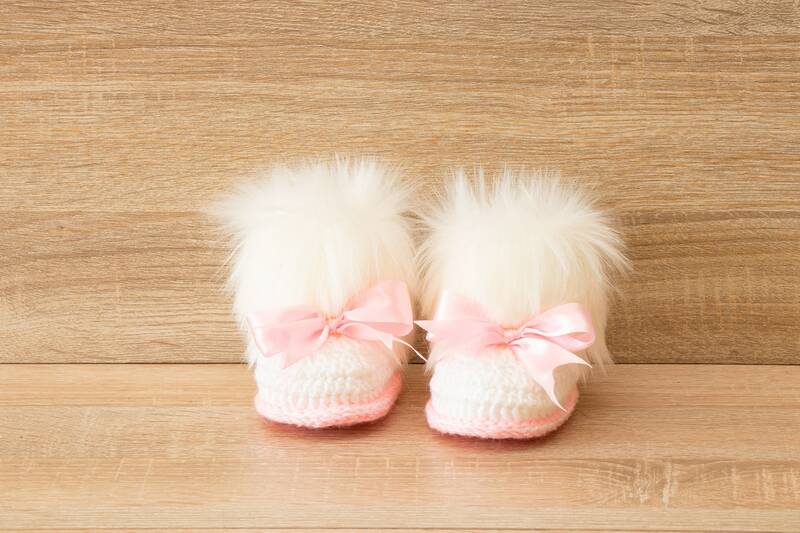 This crocheted set is made of soft acrylic yarn in white and pink colors. 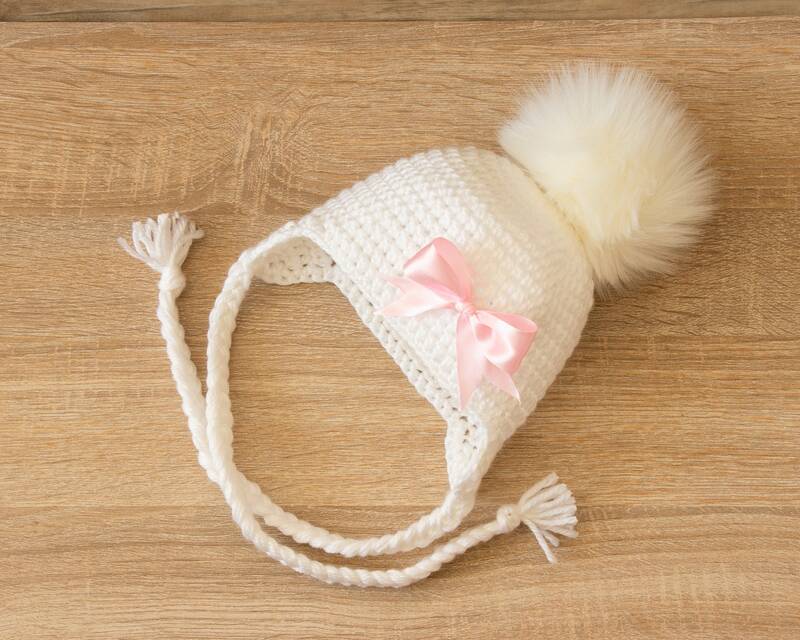 The hat will come with a bow that is on a safety pin. It can be removed or positioned anywhere on the hat you want. Sole length: 15 cm /6"
For best results, hand wash in cold water or wash in the mesh bag on gentle cycle with similar fabrics and lay flat to dry.